The new operating system from Microsoft, Windows Vista, has just been properly unveiled. (Oh, for God's sake! THAT'S the name for the new OS?) It's obvious that Microsoft has been doing plenty of homework this time. They researched on what people actually do when they use their Windows PCs. The results were a bit surprising (at least, to some people). The research found 35.5% time was spent browsing and 18% of the time was spent gaming. That 18% is quite a big amount, considering the research included on all kinds of users. The rest consisted of all sorts of random bits… like emailing, writing… etc. Windows is already pretty strong about browsing, unless you still use Internet Explorer, so Microsoft focused on more important matters: making sure that the next-generation operating system (OS) is a first-rate gaming platform. That's very smart move, especially us gamers would greatly appreciate it. With a new Direct X and almost complete focus on 64 bit (read: much more powerful) processing, gaming will be a pleasure on this OS when it releases around 2006. But gaming isn't this system's only strength, it's going to be a capable all-rounder. But here I'll focus mainly on stuff that matters. The new Windows will be (almost) 64-bit exclusive… with only a "Starter" version available for us 32-bit folks. 64-bit, of course, allows better games and applications and it was obvious that the new Windows would have full support for this. But it was rather unexpected that it would not to have just as good compatibility with 32-bit CPUs. Ah well. Games will now have a separate section in the start menu. You will not have to click through the All Programs menu anymore. There will be a media-player like thingy that lists all the installed games, the box-art, ESRB ratings, and a lot more details which will be added whenever you install a new game, and you can find and launch the games from there. Another function of the Games Explorer is that Parental Locks can be set on games. The locks can be set according to the ESRB ratings of the games, like "Play all Teen rated games that don't have intense violence". This could be bad news for the ones with obsessive parents, but the feature could be useful. You'd not have to worry letting a little cousin play some games even when you've got Leisure Suit Larry installed: nothing but the title will be displayed when the game's been locked. Also, the ancient Minesweeper and Solitaire games that comes with the OS are finally getting better graphics and new ones, like Chess, are going to be added. 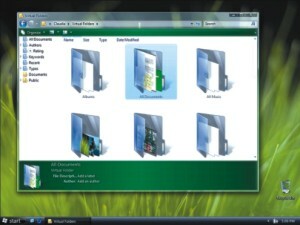 Vista will ship with a new tool called the Windows System Assessment Tool which could be a huge boon to players. This function will analyse the PC's performance and keeps the available to the OS so that the OS and applications can automatically enable and disable different functions so that every bit of power can be squeezed out of your machine. The new Direct X has been almost completely rewritten so that it can allow way better games (and would need way better graphics cards). There are a lot tech details on why it would be so much better, but at least I can say, when the Direct X 10 games hit us, the next-gen consoles won't stand a chance. But after all this, the new Direct X doesn't matter much to me. To me, all it means is that my brand new out-dated graphics card will be turned into some completely obsolete junk. Other possible features include the XBox-ish "Tray and Play"-ability. No installation is required, just drop in the disk and the game is automatically installed. Another barrier removed for the less-than-h4rdc0r3… a gaming PC for the masses. (console gaming is WAY cheaper and has a WAY better library of good games)… but they're in the right track! As I sit here writing this, Kimi Raikkonen swings by on the last lap in the F1 circuit at Budapest and takes the chequered flag, followed closely behind by brothers Michael and Ralf Shumacer respectively. Kimi and Mclaren takes the victory and that coupled with Renault finishing outside the points allowed the Finn to solidify his position in the drivers championship. Michael Shumacer is not far behind in third. However the focus of this weeks SportsWatch is the impending arrival of football season. The season kicks off with the German Bundesliga amongst the first to resume hostilities as it starts on the 6th of August. 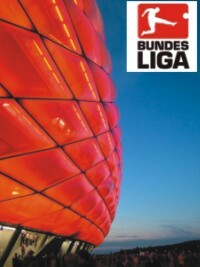 The Bundesliga is one of the premier leagues in Europe and perhaps the most competitive among Europe's big leagues. Not as money spinning as the EPL, Spanish League or the Italian Serie A, the Bundesliga however holds its position as the fourth best league in Europe. As with every other season, the usual suspects this season includes Bayern Munchen who are fancied to retain the crown that they won last season. With Lucio, Kahn, Maakay and hopefully Ballack in their team there are few who would bet against them taking the shield home this season as well. They have added to the squad as well bringing in centerback Valeren Ismael and the "Asian Maradona" Ali Karimi in their team. Also, Bayern will this season be playing at the state of the art Allianz Arena- perhaps the finest stadium in the world at the moment. Other than Bayern, Schalke 04 look strong contenders. The Ruhr valley club have already secured the services of German international Kevin Kuranyi and have recently agreed terms with Liverpool's want-away Czech, Milan Baros. Other big stars of ply their trade in the Bundesliga includes Jesper Gronjkaer whom most people would remember for his stint at Chelsea. And Rafael Van Der Vart could prove to be the signing of the season if he can re-establish his position as the next biggest Dutch player. He has moved to Hamburg from Ajax and will look to instigate the sleeping giant onto great things in the future. The Czech connection of Tomas Rosicky and Jan Koller will also look to raise Bourissa Dortmund from their slumber. Werder Bremen also look a good candidate with Johan Micoud supplying the lines for the likes of Ivan Klasnic, Miro Klose & Egyptian star Mohammed Zidan(not to be confused with his French namesake). All in all this looks likely to be one of the most exciting Budesliga seasons and if it lives up to the last few years it will certainly be worth it. Here is to good watching!